A planned Unique Identification (UID) number for Indian citizens will be backed by biometric authentication, the head of the project has told BBC. Fingerprints and photographs of more than a billion people will be taken when they are registered for the identity number, Nandan Nilekani said. The biometric evidence will be stored online in what will be the biggest such national database in the world. 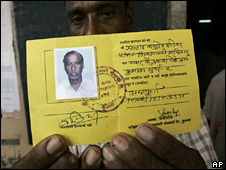 The first UID numbers will be issued in about 12-18 months, he said. Mr Nilekani said that the "technology challenge" in putting together a biometric record of one billion citizens was "immense". "Biometrics on this scale has not been carried out before. They will be stored online and help in instant online authentication of the identity of every Indian," he said. But Mr Nilekani said the government does not have an "exact fix" on the how many Indians had some sort of identity proof. His office is looking at 80 million income tax payers who possess a Permanent Account Number (PAN), some 200 million account holders in public and private banks, some 500 million mobile phone consumers and over 600 million Indians who have election cards. There is, obviously, a considerable overlap as many of them have all or many of these forms of identification. His office will also look at the database of Indian passport holders, public distribution system cards for food for the poor, and the list of cooking gas consumers in the country. However, these checks will have to be done carefully because, as Mr Nilekani admits, there is the "phenomenon of duplicates" or fraudulent numbers. It is clear that a large number of poor people have no identification at all, making it doubly difficult for them to gain access to social welfare schemes, Mr Nilekani added. "This project is pro-poor and inclusive targeted mainly towards the poor. The middle class and the rich have some form of identity. 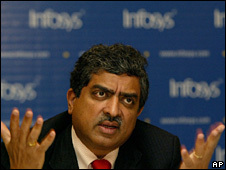 People on the margins are getting lost because of lack of identity," Mr Nilekani said. It is also hoped that the number should help tackle identity theft and fraud. Mr Nilekani's office will be working with state governments and 20 - 25 agencies - the income tax department, the country's Election Commission and the state-run life insurance company, for example - to roll out the identity numbers. The unique number will not be an identity card - instead, the number will be included in documents like election identity cards, PAN cards and bank account numbers. 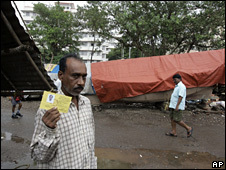 India's efforts at giving every citizen an identity number is possibly one of the greatest challenges facing the government. "There is the technological challenge, there is a challenge of the scale of work, and there is a complex governance challenge, working with so many departments and states," Mr Nilekani said. The state of Karnataka in the south, India's capital, Delhi, and Meghalaya state in the north-east are among the states which may take part in early pilots. The project's main technology centre will be based in Bangalore, with eight regional centres working with the various states. Unlike in the US and UK, Indians do not have a common federal identity number. The government expects to give a unique identification number to every Indian citizen within five years.